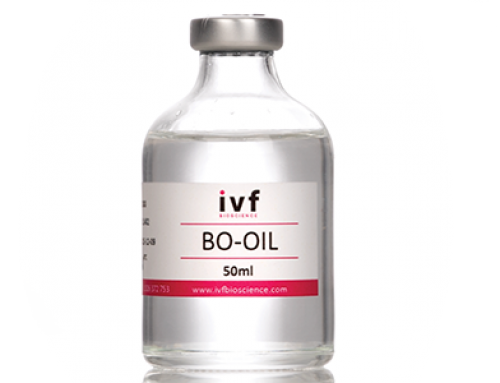 How do we test each batch of IVF media? 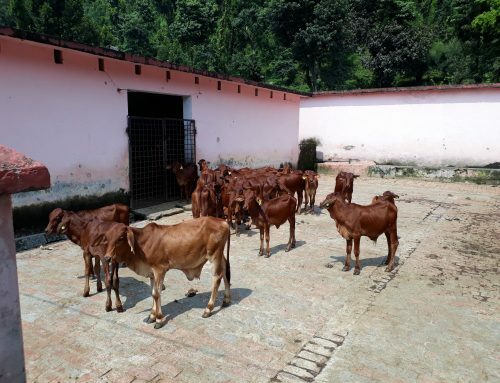 Bovine Embryo Assay (BEA) is the most accurate test for quality control release of newly manufactured batches of media used for animal IVF. 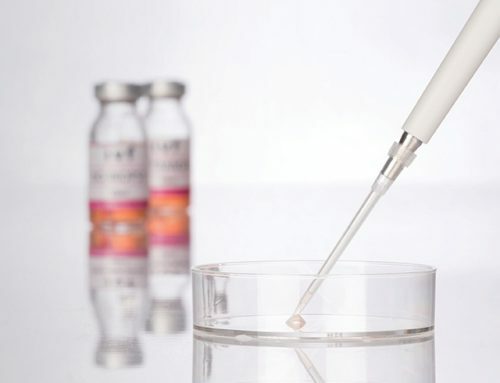 The IVF Bioscience R&D lab uses 700-900 slaughterhouse oocytes in three consecutive replicates with oocytes randomized lege artis to the test groups. How do we provide accurate verification of media performance? The cleavage rate is important to assess maturation and fertilisation. Blastocyst rate is the final proof that the overall procedure and media performance was successful. Blastocyst rate should be indicated by number of blastocysts in percentage of number of inseminated oocytes. Figure 1 Developmental data on bovine in vitro produced embryos at Day 8, blastocysts post insemination. Cleavage and blastocyst rates are expressed as percentage of inseminated oocytes and cleaved embryos, respectively. Blastocyst rate per cleaved embryo gives an inaccurate representation of the performance of the media and does not take into account a potentially high number of un-cleaved embryos. 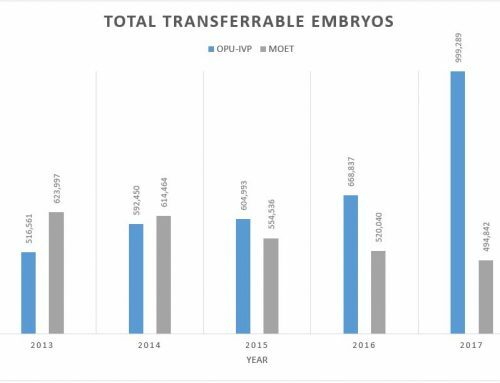 The correct overall picture of media performance (as represented in the graph above) should state total number of oocytes, as well as cleavage rate and blastocyst rate calculated as percentage of # inseminated oocytes. Usually the quality and efficiency of an IVP system is estimated by the blastocyst rates alone, to obtain an accurate picture of media performance we include morphology and kinetics in the assessment. Why is blastocyst quality important? Excellent morphology is linked to higher cell counts which are often associated with in vivo-like embryos. An excellent blastocyst will have a compact and distinct inner cell mass (ICM), regular morphology of the trophoblast cells and development as expected within timeframe. Whereas a poor blastocyst will have no clear ICM, degenerated trophoblast cells and will have shown delayed development. These scores can then be used in the equation demonstrated in the poster, to assess the overall relative efficiency of the IVP system. For details on how to use this system within your own IVF laboratory set up, get in touch with a member of the IVF Bioscience team or visit our collection of resources for a printable worksheet.